After throughly enjoy the compactness and feather weight of my Lumix GM1, I settle down to find out if the small wonder rock with the two Panasonic M43 zoom lenses I own. 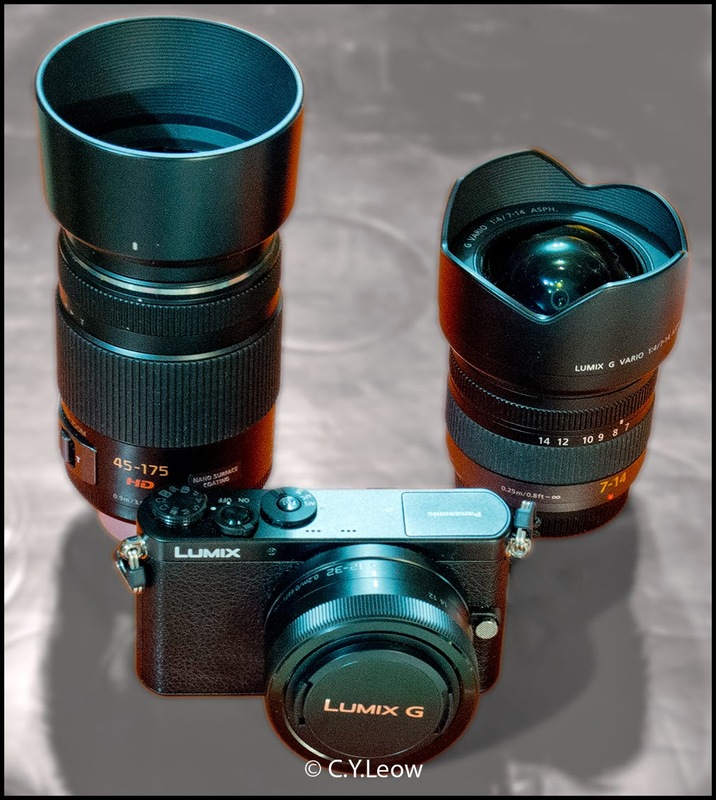 The tiny Lumix GM1 dwarfed by the two M43 zoom lenses, the Lumix 45-175mm f/4-5.6 ASPH X on the left and the ultra-wide Panasonic Lumix G Vario 7-14 mm F4.0 ASPH, right. Surely BIG lenses (in relation to small GM1) will create an unbalance combo, making the set up difficult and uncomfortable to hold?